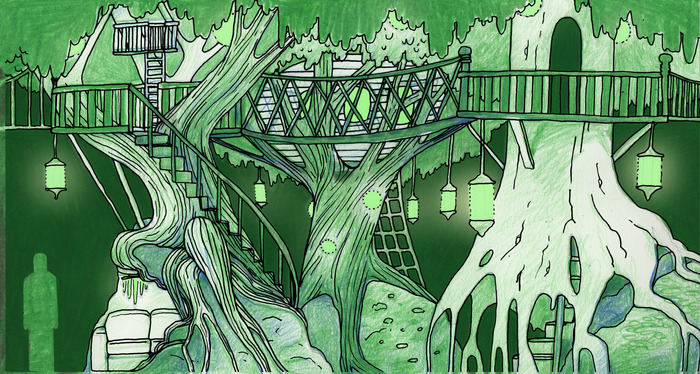 Meow Wolf, an art collaborative in Santa Fe, New Mexico just started a crowdfuning campaign which is sure to garner attention. The group is looking to create an immersive art complex on permanent exhibit, offering a unique experience for visitors, along with a boost for the city’s economy. The building, a formerly abandoned bowling alley is owned by Game of Thrones creator George R.R. Martin, who has thrown his support behind the project. The idea is to use the 20,000 square feet of space available in the venue to create a massive attraction featuring works from over 75 artists from around the area. The exhibition is known as The House of Eternal Return. In this case, the goal is not just to have visitors view the art, but to live it. The aim is for it to be a completely immersive experience unlike what most have become used to. The theme is storytelling as propelled through a multi-media framework, and interactive narrative. Along with the exhibit itself, the venue will host several artist studios, two rotating gallery spaces, and an educational center targeting the city’s youth operated by local nonprofit ARTsmart. The building will also be undergoing a full renovation in preparation for Meow Wolf’s ten year lease of it from Martin. You can learn more about the venture in the video the team created for the campaign on Kickstarter. 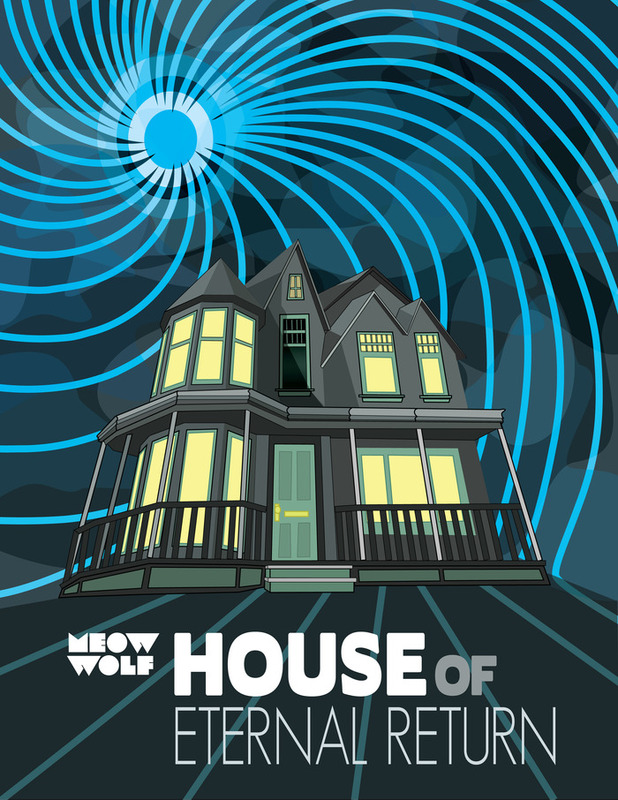 According to the campaign page, Meow Wolf is looking to raise $100,000 by March 2nd in order to help make this a reality. Up until now, they’ve been able to generate nearly $20,000 and as word continues to spread, the endeavor should be able to ultimately reach its target. The ultimate funding goal for the project is $1,000,000, and would keep the exhibition running. Projects like these are part of the so called ‘creative economy’. In other words, economic growth spurred by the arts, something which is poised to happen should Meow Wolf’s forecast be right with regards to the effect the complex will have on the local community. For any small to mid-sized city, the opportunity to diversify its economy in such a way could indeed lead to a strong net gain. Santa Fe is no exception. The fact that besides the initiative’s unique nature, it’s also supported by a world renowned media figure not only makes the ultimate goal of receiving the funding more attainable, but it could very well serve as a magnet for long standing visitor interest, ultimately producing longstanding positive economic results.